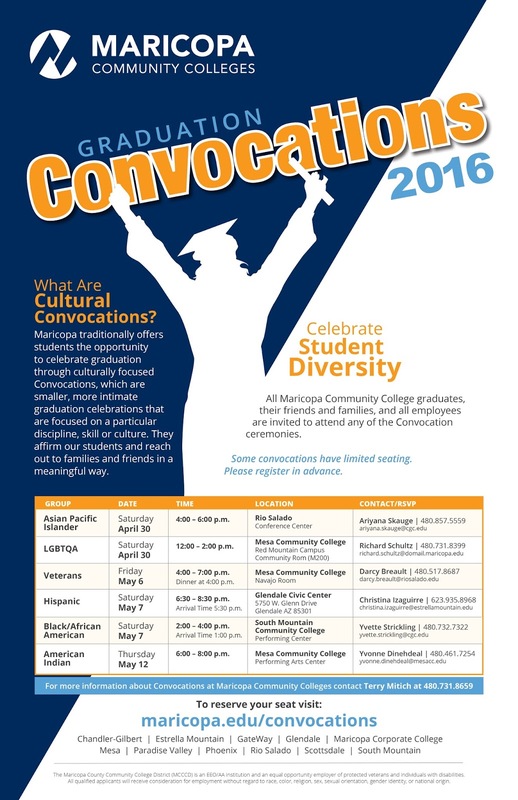 Rio Salado College | RioNews: Celebrate Student Diversity at Graduation Time! Celebrate Student Diversity at Graduation Time! Rio Salado and the Maricopa Community Colleges encourage you to take part in our 2016 convocations-- in addition to Rio Salado's commencement ceremony on May 11! Visit maricopa.edu/convocations for details and to RSVP. Please note, some convocations have very limited seating. Please register in advance.